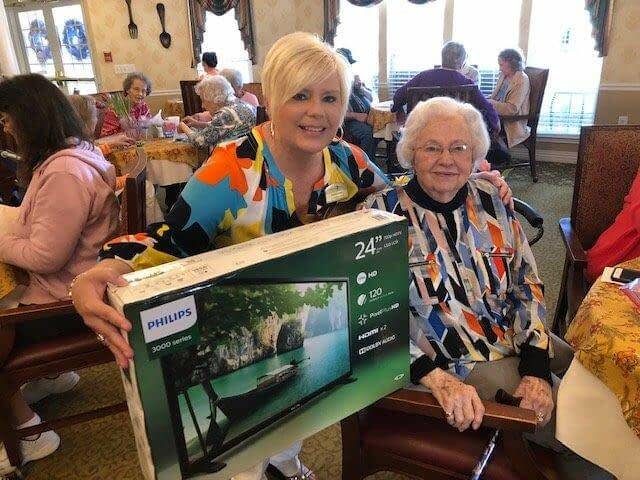 Morning Pointe of Athens (TN) life enrichment director Annette Liner (left) congratulates Sudi Baker (right) on winning the assisted living community’s Super Bingo grand prize—a flat screen TV! Donate Life Month – Learn the Importance of Blood Donation. 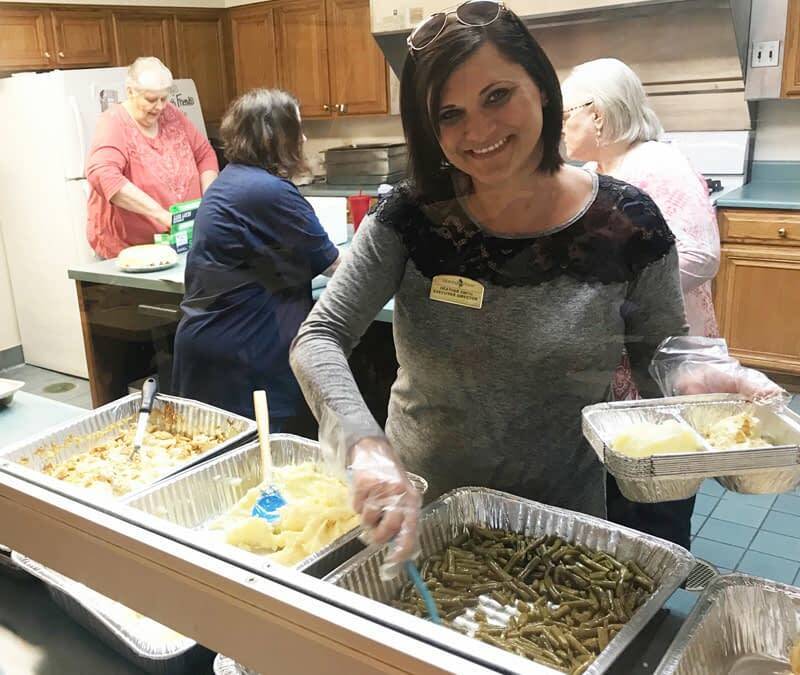 Morning Pointe of Athens (TN) Executive Director Heather Smith assembles a plate for visitors from the McMinn County Senior Center. Join us for lots of Bingo Games with a St. Patrick’s day-themed. 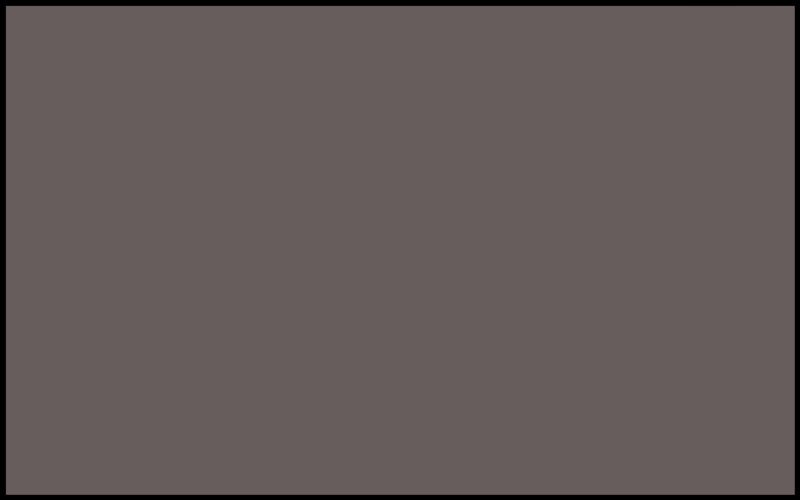 Enjoy snacks, refreshments and prizes. 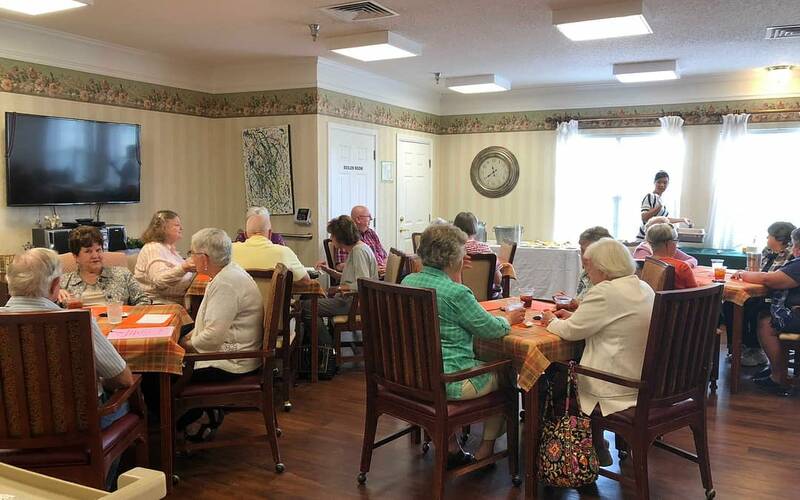 On Wednesday, the dining room of Morning Pointe of Athens (TN) was filled with former educators in honor of Athens’s annual retired teachers’ luncheon.